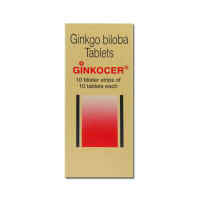 Inderal 10 Tablet is used in the treatment of high blood pressure, chest pain (angina), migraine and anxiety. Take this medicine in the dose and duration as advised by your doctor. Swallow it as a whole. Do not chew, crush or break it. Inderal 10 Tablet is to be taken empty stomach. Avoid Inderal 10 Tablet with high-fat meals such as olive oil, nuts & seeds (Brazil nuts), dark chocolate, butter and meat. Inderal 10 Tablet is a beta blocker which lowers blood pressure. It works by slowing heart rate and relaxing blood vessels to improve blood flow to organs. It is unsafe to consume alcohol with Inderal 10 Tablet. Taking Propranolol with alcohol may have additive effects in lowering your blood pressure. You may experience headache, dizziness, lightheadedness, fainting, and/or changes in pulse or heart rate. Inderal 10 Tablet may be unsafe to use during pregnancy. Inderal 10 Tablet is probably safe to use during lactation. Limited human data suggests that the drug does not represent a significant risk to the baby. 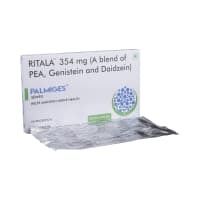 Inderal 10 Tablet may cause visual disturbances, hallucinations, fatigue, mental confusion, dizziness or tiredness. This may affect your driving ability. Inderal 10 Tablet is safe to use in patients with kidney disease. No dose adjustment of Inderal 10 Tablet is recommended. However, inform your doctor if you have any kidney disease. Inderal 10 Tablet may be started with a low dose and then increased further. Regular monitoring of blood pressure is advisable for dose adjustment. Inderal 10 Tablet should be used with caution in patients with liver disease. Dose adjustment of Inderal 10 Tablet may be needed. Please consult your doctor. What if you miss a dose of Inderal Tablet? If you miss a dose of Inderal 10 Tablet, take it as soon as possible. However, if it is almost time for your next dose, skip the missed dose and go back to your regular schedule. Do not double the dose. Inderal 10 Tablet helps treat various heart conditions such as chest pain, heart failure, high blood pressure and and a number of non-heart conditions such as tremors, anxiety, and migraine. Use caution while driving or doing anything that requires concentration as Inderal 10 Tablet can cause dizziness and sleepiness. The patient is having migraine pain twice in a week. Sir I m suffering from migraine since my childhood. It pains like someone is hammering from inside of my head. I have migraine, what are the treatments for the same ? Do you have any questions related to Inderal 10 Tablet? What were the side-effects while using Inderal 10 Tablet? How do you take Inderal Tablet? What are you using Inderal Tablet for? Q. What is Inderal used for? Inderal is used in the treatment of angina (chest pain), arrhythmias (abnormal heartbeat), heart attack, increased blood pressure, anxiety, and migraine. Q. Is Inderal over the counter product? Inderal is a prescription medicine and should only be taken for the proper indication in the appropriate dose, frequency, and duration as advised by a doctor. Q. Is Inderal a monoamine oxidase inhibitor (MAO) inhibitor? Inderal is not a MAO inhibitor. It belongs to a class of drugs known as beta blockers. Q. Is Inderal safe to use? Clinical studies have shown that Inderal is tolerated well even in long-term use and is safe. However, the drug is not devoid of side effects and should only be taken as per the doctor’s advice. Q. Is it safe to take Inderal with Betahistine? Inderal and Betahistine can be taken together. 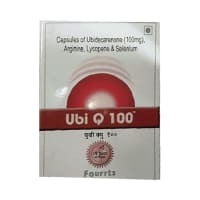 Betahistine is given in patients with a migraine for the relief of vertigo and Inderal is indicated for preventing the attacks of a migraine. No harmful side effects or any other clinical interactions have been seen when the two drugs are used together. Q. Is Inderal a blood thinner? Inderal is not a blood thinner. It is a nonselective beta-adrenergic receptor blocker. Q. Is Inderal a narcotic substance? Inderal is not a narcotic substance. 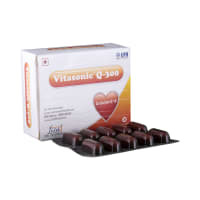 It is a beta-blocker used in the treatment of diseases like hypertension and angina. Inderal is not associated with ototoxicity (harmful to the ear). However, if you experience any such problem while using the drug, talk to your doctor. Q. Is Inderal a statin? No, Inderal is not a statin. It is a nonselective beta-adrenergic receptor blocker. Q. Is Inderal used to treat anxiety? Inderal is indicated for the treatment of anxiety. However, consult your doctor for the right treatment of anxiety. Q. Can I take Inderal for headaches? Inderal is not used for the treatment of a headache. It is used to prevent an attack of a migraine headache. However, it is not known to stop the migraine headaches once started. Consult your doctor for the proper treatment of your headache. Q. Can I take Inderal for irritable bowel syndrome (IBS)? Inderal is not indicated in the treatment of irritable bowel syndrome (IBS). Consult your doctor for the right treatment IBS. Q. For how long can I take Inderal? Inderal is a prescription drug and should only be taken in the dose, frequency, and duration as advised by the doctor. However, clinical studies have shown that Inderal is tolerated well in long-term use and is generally safe. Q. Can you take Inderal for depression? Inderal is not indicated for the treatment of depression. Please consult your doctor for the right treatment of depression. Q. Can I take Inderal for a migraine headache? Inderal can be used as a to prevent an attack for migraine headaches. However, it is not known to stop the migraine headaches once started. Consult your doctor for the appropriate the appropriate therapy. Q. Can I take Inderal with alprazolam? Inderal is not known to have any clinically meaningful interaction with alprazolam. However, interactions can occur. Please consult your doctor before taking both the drugs together. Q. Can I take Inderal with lorazepam? Inderal is not known to have any clinically meaningful interaction with lorazepam. However, interactions can occur. Please consult your doctor before taking both the drugs together. Q. Can I take Inderal without food? Inderal can be taken without food. However, taking the drug with food, especially high-protein food enhances the bioavailability (amount of drug which reaches the blood) of the drug. Q. Can I take Inderal with aspirin? Aspirin, especially if taken in high doses, may reduce the blood pressure lowering (antihypertensive) effect of Inderal. Talk to your doctor before taking the two medicines together. Q. Can I take Inderal with gabapentin? Inderal is not known to have any interactions with gabapentin. However, interactions can occur. Talk to your doctor before taking both the medicines together. Q. Can I take Inderal with amoxicillin? Inderal is not known to have any interaction with amoxicillin. However, interactions can occur. Talk to your doctor before taking both the medicines together. Q. Can I take Inderal with prednisone? Anti-hypertensive (blood pressure lowering) effect of Inderal may decrease if taken with prednisone as prednisone can cause sodium and water retention. Talk to your doctor before taking both the medicines together. Q. Does Inderal cause diabetes? Inderal is not known to cause diabetes. However, it can interfere with insulin secretion and it can also block the sympathetic response (signs and symptoms experienced by the patient) to hypoglycemia. Talk to your doctor in case you are prescribed Inderal and you have diabetes. Inderal is a nonselective beta-adrenergic receptor blocker which is used in the treatment of a variety of diseases like hypertension, angina, migraine, heart attack, tremors etc. It is a prescription drug which should only be used as per the doctor’s advice. Q. Does Inderal make you sleepy? Inderal is not known to make you sleepy. It can, however, cause loss of sleep and dizziness rarely. Consult your doctor if you experience any such symptom. Inderal. like any other drug, has an expiry date and should not be used beyond that period. The shelf life of Inderal is three years. Q. Does Inderal cause depression? Depression is a rare side effect of Inderal. If you experience any form of depression or associated symptoms while using the drug, consult your doctor. Q. Does Inderal cause erectile dysfunction? Inderal use has been associated with erectile dysfunction (also known as impotence). Consult your doctor if you experience any such problem while using the drug. Q. Does Inderal cause diarrhea? Diarrhea is a rare side effect of Inderal. Consult your doctor if you experience such problem while using the drug. Q. Does Inderal affect sleep? Use of Inderal has been associated with sleep disturbances, especially insomnia (inability to fall asleep). Consult your doctor if you experience any sleep disturbance after taking Inderal. Q. Can the use of Inderal increase the blood sugar levels? Inderal can interfere with insulin secretion and can also block the sympathetic response (signs and symptoms experienced by the patient) to hypoglycemia. 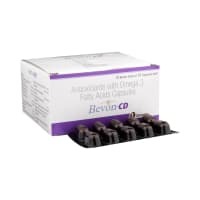 However, it is not known to significantly affect blood sugar values. A licensed pharmacy from your nearest location will deliver Inderal 10 Tablet. Once the pharmacy accepts your order, the details of the pharmacy will be shared with you. Acceptance of your order is based on the validity of your prescription and the availability of this medicine.